Punctuality is a great thing. Well most of the time anyway. But if you take it to the next level and arrive early somewhere not 10 minutes but a whole month. Safe to say, that is a not really a good thing. That is exactly what happened with this one Twitter user. 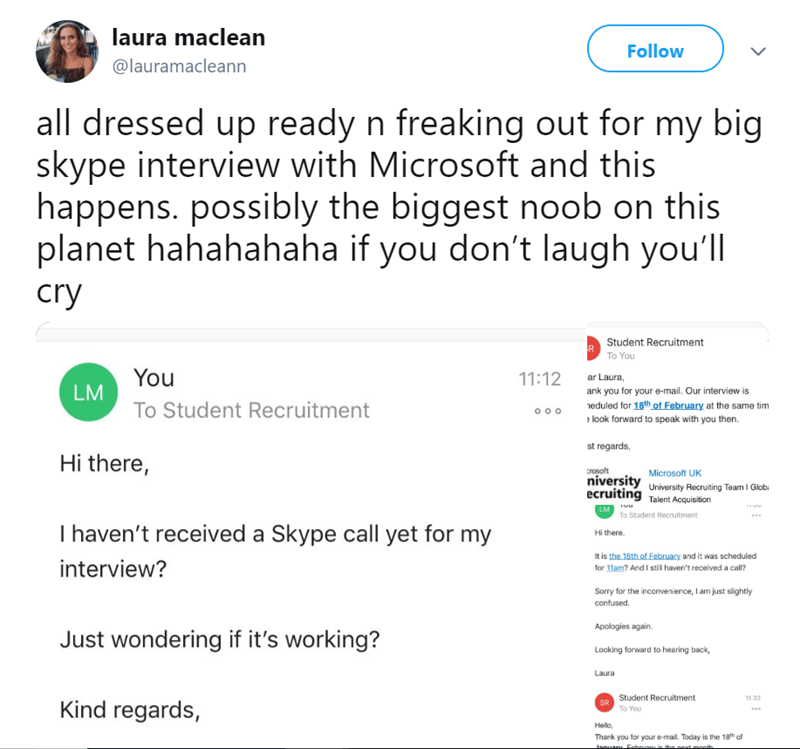 You see, she had an interview with Microsoft and uderstandably she was quite nervous. 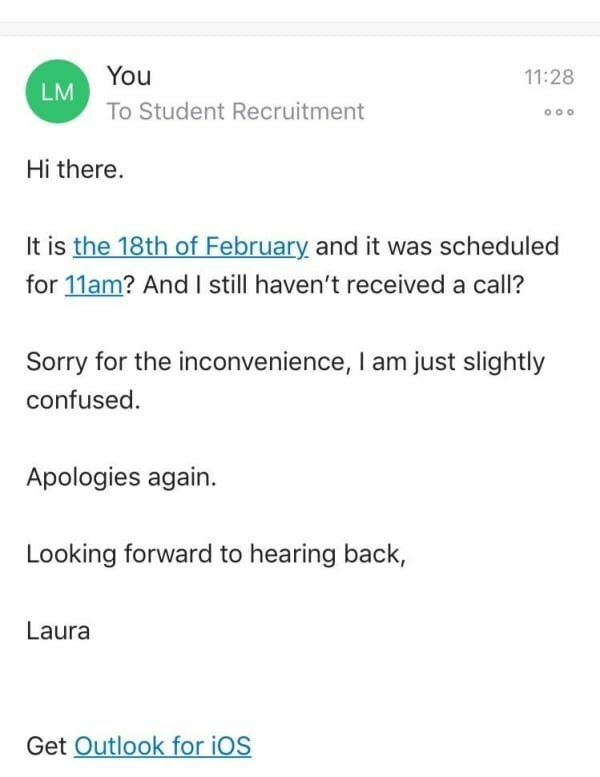 Now, It was on the 18th of February and we all know that date hasn’t arrived yet. However, in her nervousness she thought 18th of jan was actually feb. 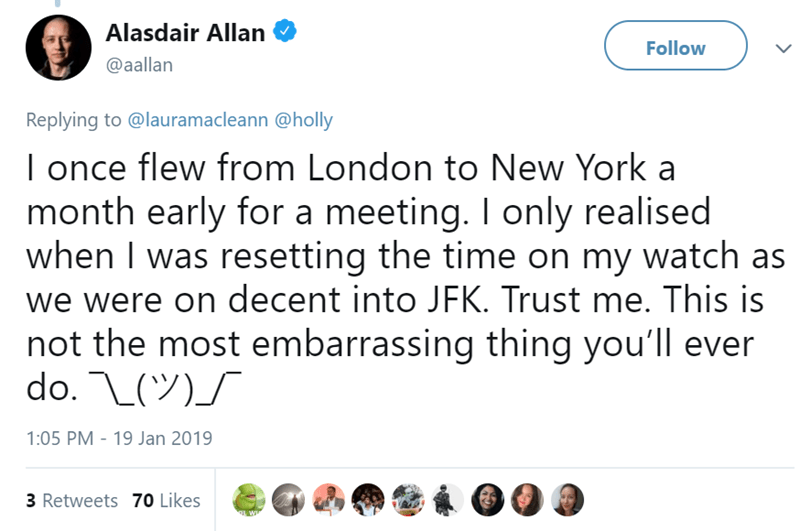 So yes, what happened next is exactly what you think. 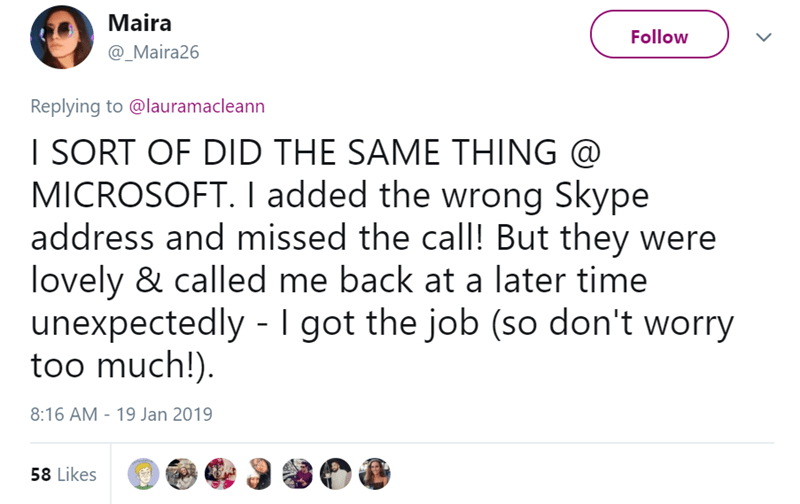 She waited for the skype call which never came. So like any reasonable person she contacted them asking why they hadn’t called yet. Scroll on below and take a look at what happened next. Well, I definitely laughed at this poor lady. As you can imagine, she was rightfully anxious as to why they hadn’t called yet. She did not think to look at the corner of her pc or phone to see which date it was. 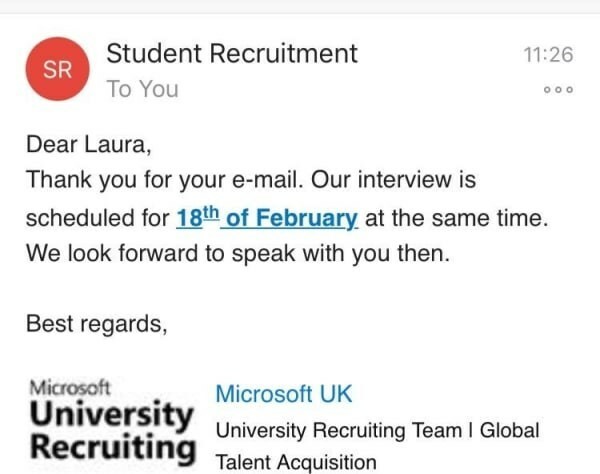 When Microsoft replied, she messaged them again still believing they were in the wrong. So they were only too happy to tell her what the date actually was. So when she posted this on the internet, people replied. Not really a weakness unless you come a month early. 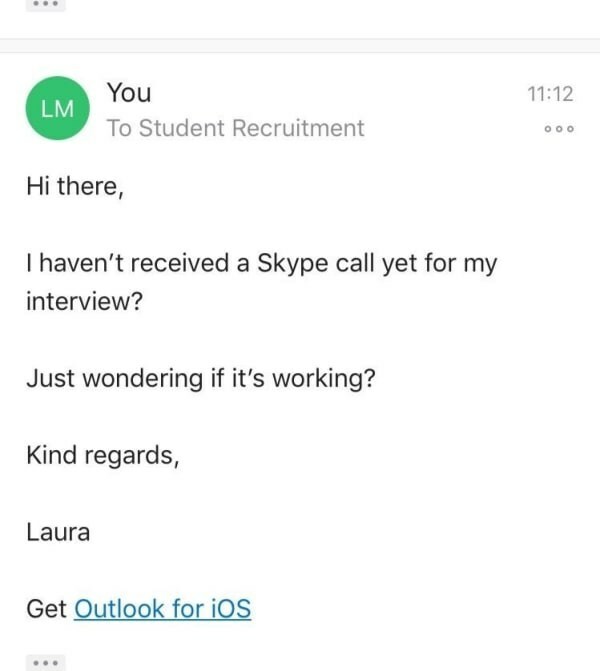 Microsoft will definitely hire her now. She should feel better as it turns out many people go through te same embarassing things. 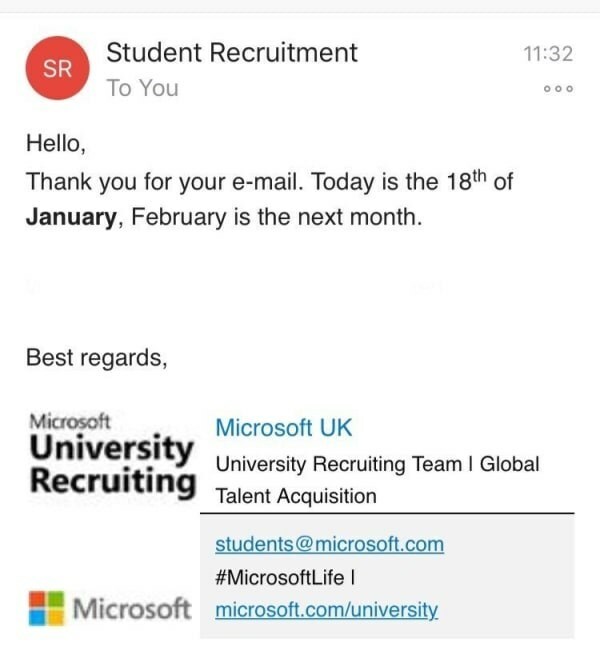 To top it all off, Microsoft even replied. Do you any of your own embarassing stories to share? Why not comment down below and let us know?